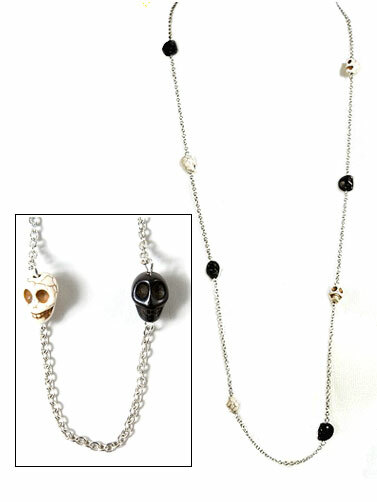 Dress up your Goth look with this long black and white skulls necklace. Makes a great Halloween costume accessory but the trendy chic style makes it wearable for every day. Black and White Skulls Necklace measures 36"L.